Home / News / Ex-CJ Sereno to Duterte: "Pinahamak mo ang AFP. 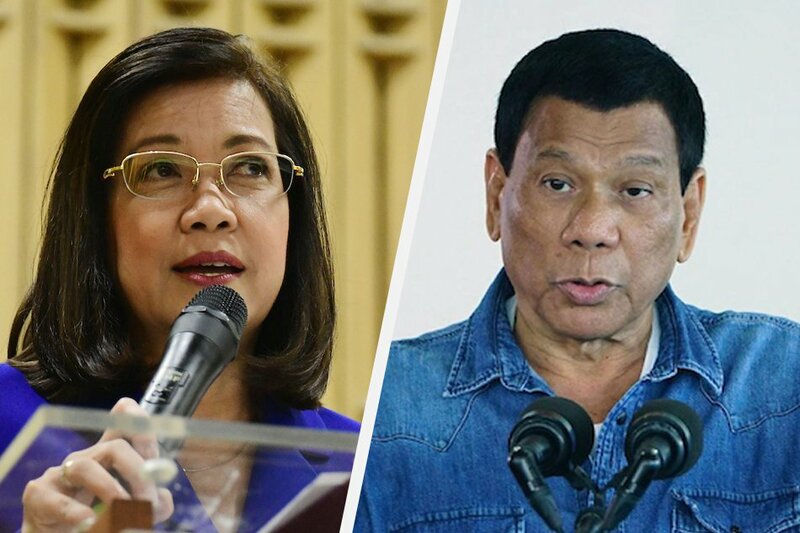 Malagim po ang maaaring mangyayari"
Ex-CJ Sereno to Duterte: "Pinahamak mo ang AFP. 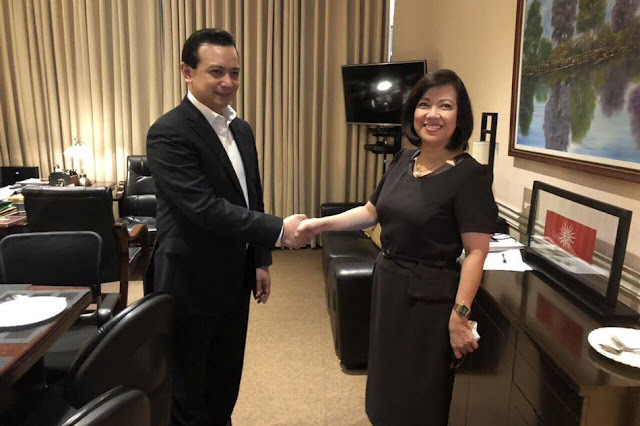 Malagim po ang maaaring mangyayari"
Ousted Chief Justice Maria Lourdes Sereno said President Rodrigo Duterte’s nullification of Senator Antonio Trillanes IV’s amnesty is “very dangerous” as it could compromise other amnesty grants. 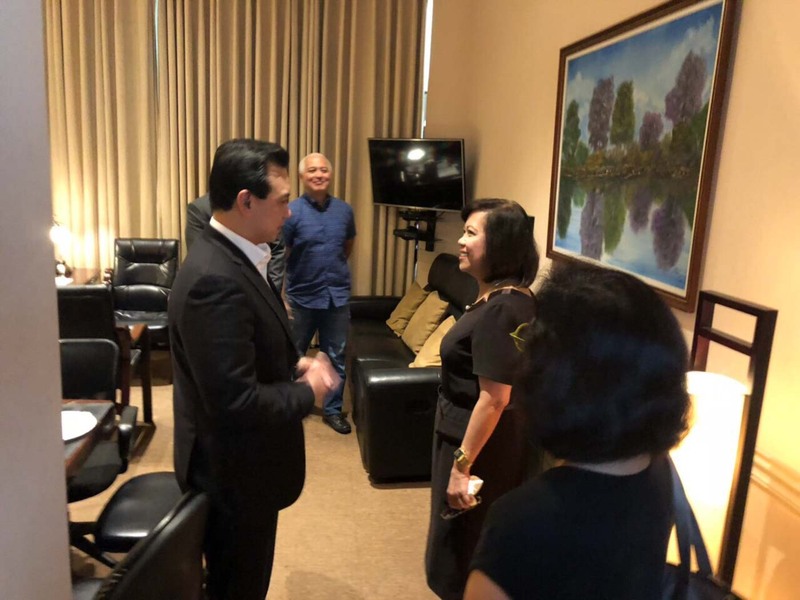 Sereno visited Trillanes in his Senate office who has been in the Senate building since the Proclamation No. 572 was released voiding his amnesty and ordering his arrest. In an interview with the media on Wednesday, Sereno said Duterte has put the AFP in danger when it was not consulted about the recent proclamation. “What President Duterte did by not consulting even the military is very dangerous. In other words, kumbaga, pinahamak ni Presidente Duterte ang AFP,” Sereno said. Sereno also stressed out the said proclamation will be a threat to other soldiers who receives amnesty including AFP chief of staff Carlito Galvez Jr. and Senator Gregorio Honasan for their participation in the failed attempt military uprising in 1989 against former President Corazon Aquino's government. Former CJ Sereno feared this developing issue on the proclamation might just produce confusion and division within the Armed Forces of the Philippines (AFP). Duterte during the live interview with the Chief Presidential Legal Counsel Salvador Panelo, contend that former Defense Secretary Voltaire Gazmin usurped the authority of former President Benigno “Noynoy” Aquino III when he approved Trillanes’ application for amnesty where it should be former President Benigno Aquino III himself should have been the one approving Trillanes’ amnesty. Aquino’s Proclamation No. 75 granted all of the active personnel of the military's amnesty for their participation in the 2003 Oakwood Mutiny, the 2006 Marines Standoff, and the 2007 Manila Peninsula siege. Sereno is among the 18 possible names to be included in the opposition slate in 2019 mid term election but she has yet to confirm her political plans. She was ousted last May by majority of the justices granting the quo warranto petition filed by Solicitor General Jose Calida.